Arian Zand. 4th year UBC Student in front of the Asian Centre. 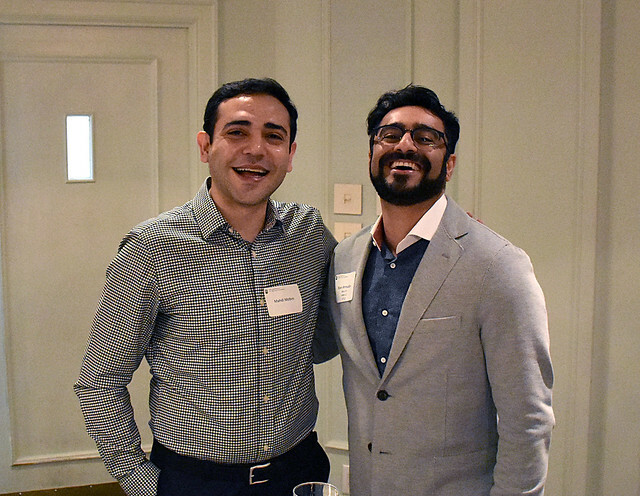 These courses would not exist if it weren’t for the help of three Persian students who are now alumni: Negar Jalali (BA ’11, JD ’15), Bahador Moosavi (BASc ’07, MASc ’12) and Alireza Ahmadian (BA ’11). Negar, Bahador, and Alireza were all instrumental in rallying the Persian community in support of establishing a Persian language program at UBC, starting with foundational language courses and expanding to include cultural courses, like the newly offered ASIA 460 – Modern Iranian Women and Men in Narrative. The program now offers seven language and four culture courses. “We are extremely grateful for the enthusiastic support, both moral and material, that we have received from Iranian Canadians in Vancouver—including UBC students, alumni, friends of UBC and Persophiles more generally,” says Ross. Rallying the local Iranian community in support of a common goal is just one of the benefits of the program, which Ross sees as critical to the university “because of the centrality of the Persian language, literature and literary culture for more than a thousand years to Western, Central and South Asia.” It’s become beneficial to heritage and non-heritage students alike. Mobina Fathi, a second-year biology student, is taking ASIA 394 – Post-Revolutionary Iranian Cinema. Like Arian, she also immigrated to Canada from Iran, and has at times felt isolated in classrooms where she is often the only student of Persian heritage. But in this class, “I feel safe,” she says. The instructor is Persian. “He is in that community. He knows that background,” she says. It’s that isolation on campus that Alireza wants to address. “During my education, I noticed a lack of mentors for Persian studies and Persian heritage students at UBC. This lack was in the face of a real need that I think is unique to this particular community/diaspora of UBC students,” he says. He and his alumni peers started an informal events and Facebook group, where members of the Persian community would share their experiences at UBC. Alumni groups like this are usually organized around a faculty or a specific subject, but this group was rare in that it was focused on a single culture. The culmination of these events and meetings happened in April, when the alumni group hosted its first formal networking event. The speakers included alumni from a variety of fields. The group’s vision is to be an active and successful Iranian UBC alumni community that’s connected across professions and industries. It’s an inclusive group—all are welcome, whether people who have Iranian ties through their heritage and language, friends, cultural and business partners, or even shared interest in Iranian culture and issues. In the future, the group hopes to advance professional opportunities for new graduates through networking, inter-community engagement, and mentorship. 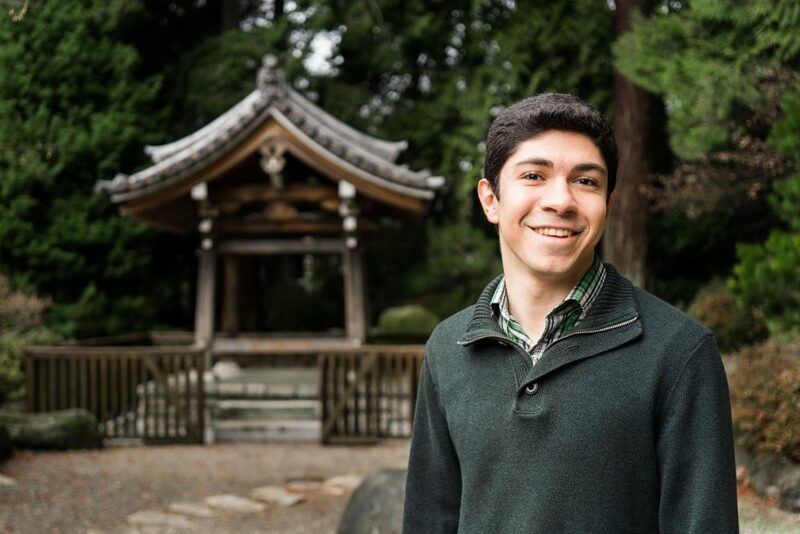 Arian is grateful to be able to take these courses connected to his heritage, an option he’s thankful to see for his Asian Studies counterparts of different heritage as well. “It’s important to have an option to explore what your heritage can offer you. Heritage is a very broad word, encompassing philosophy, worldview, economics, politics, society, literature—all of these things,” he says. And now, like Negar, Alireza, and Bahador before him, it includes a community too. There has never been a better time to champion Persian language and Iranian studies at UBC. Help inspire students to become innovative leaders and global citizens who understand the complex background and rich history of Iran by donating. Learn more.